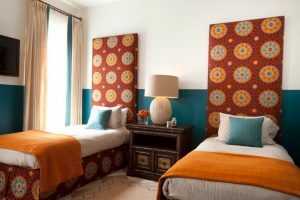 Bedroom is a place where you want to be most relax without forgetting that it also needs to look pretty and comfortable. 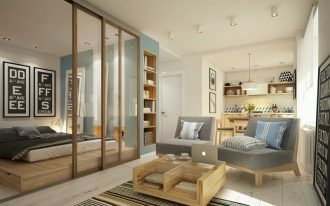 The more comfortable your bedroom is, the more you want to stay at home, and if you’re an introvert, a comfortable bedroom is the best sanctuary. 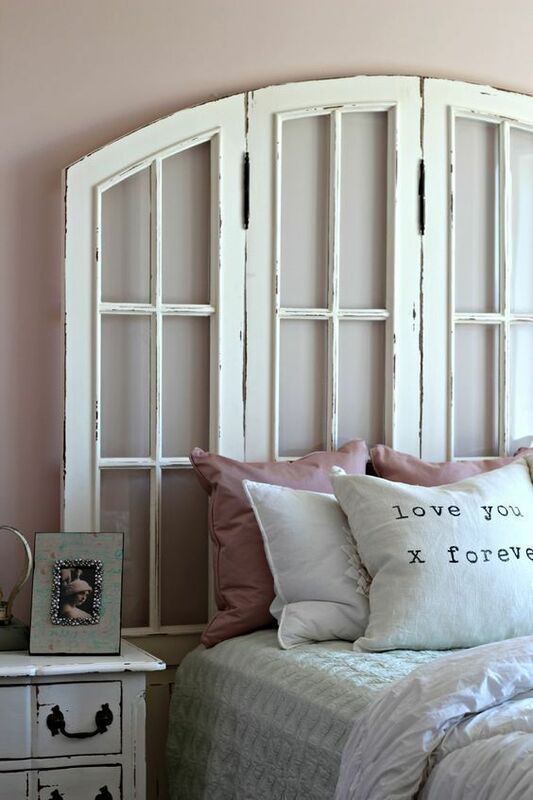 Although there are many ways to create pretty touch, even as simple as headboards. 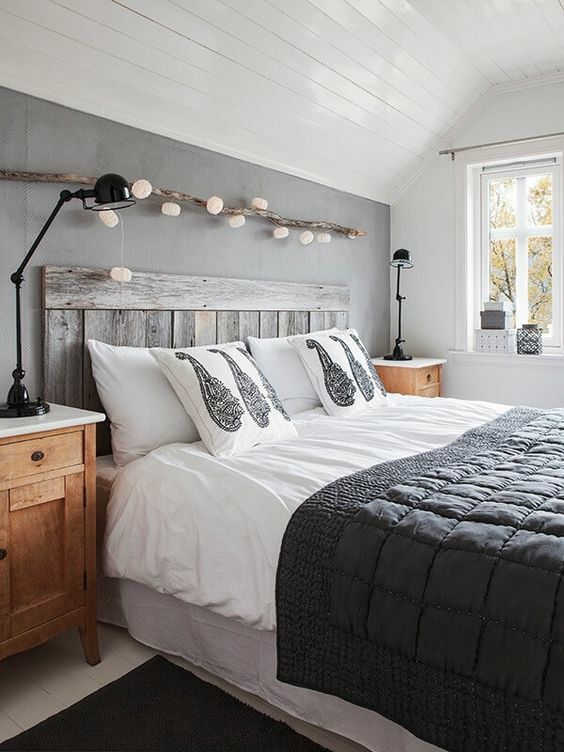 And these ten lovable bedrooms with beautiful headboards will help you get the pretty look you’re looking for. This one here has a really pretty headboard with white wooden window. 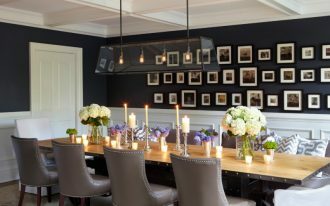 It shows an energetic vibe and bright optimism felt in the room. If you love to put your currently reading books near your pillow, you will love shelve headboard like this one here. It does not matter if your bed is small, as you can still have small shelves on the headboard too. You can store the rest of your book collection in another place. If you love classic and vintage look, you might love this curvy wire to be put as your headboard. 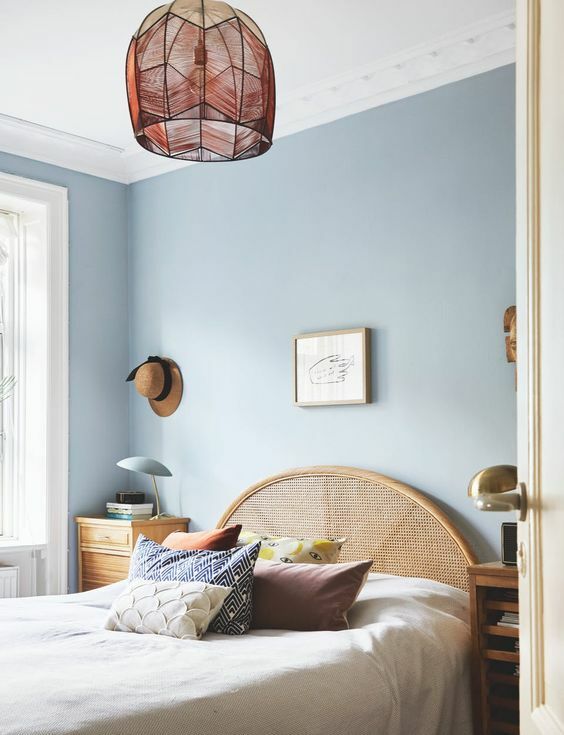 This lanky and elegant lines can brings more grace to your bedroom. you can match the elegance with neutral or golden colored bedding. 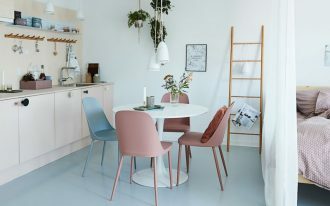 For those who are looking for something unique and soft, this white cushion hanging from wooden shelves can be a great option. 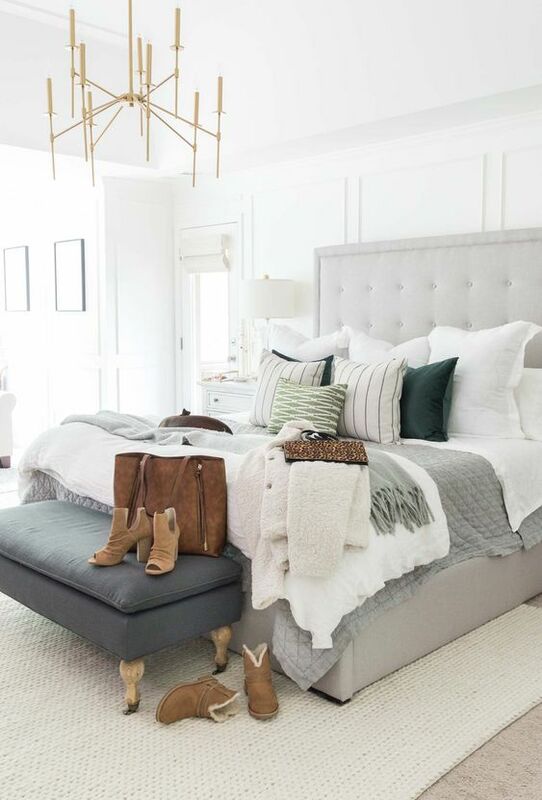 It looks like a tufted headboard but with more creativity and even softer side. With built-in headboard, you can plan what headboard you want and you don’t have to move it around. You just need to move the bed to get the angle you want. 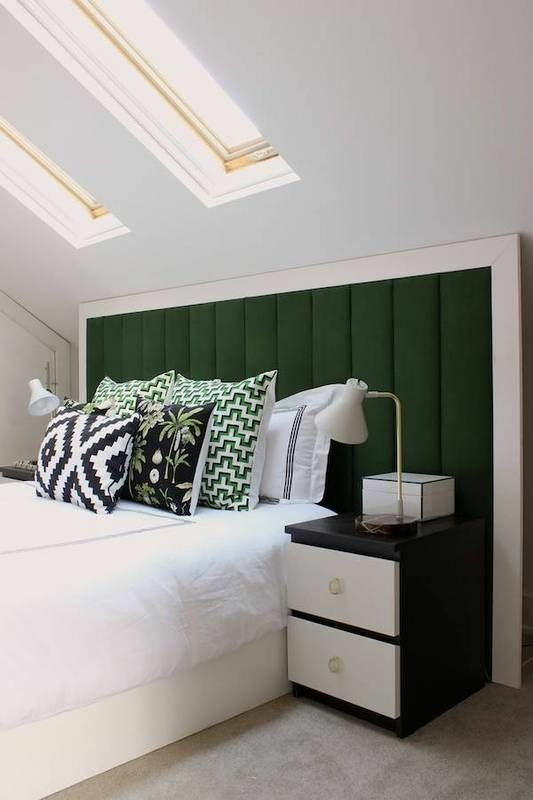 Here, the dark green headboard looks elegance in its simplicity. Under the sloping window, the room is also bright and warm. 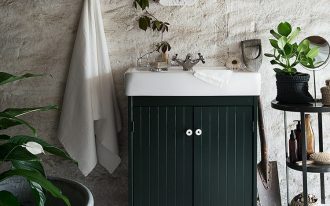 If you want something simple and natural, refurbished wooden pallete like this one might help you get the look you want. 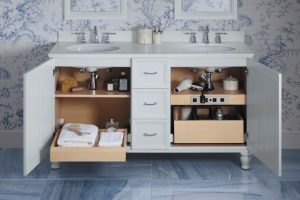 Seen in the picture, it is completed with neutral bedding and wall color too. Rattan is always a great material to add in a room. 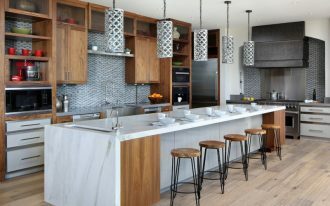 It always brings fresh and exotic feeling to a room. And if you love rattan, simple headboard like this can prettify your bedroom perfectly well. 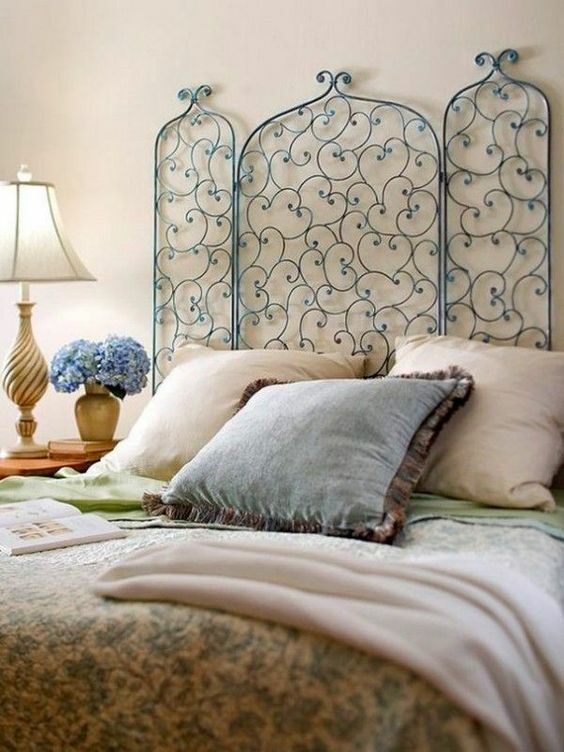 For someone who love sweet things, flowery headboard like this an brightens the day. The one seen in the picture does not have to be bought either. 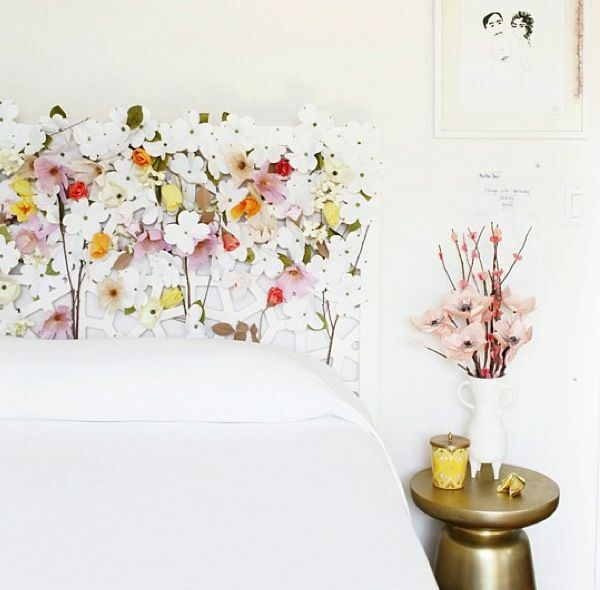 You can put some flowers on your headboard to make it pretty and fresh like this. 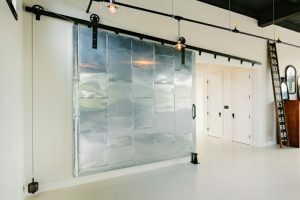 This one here has good news for those who love arts. 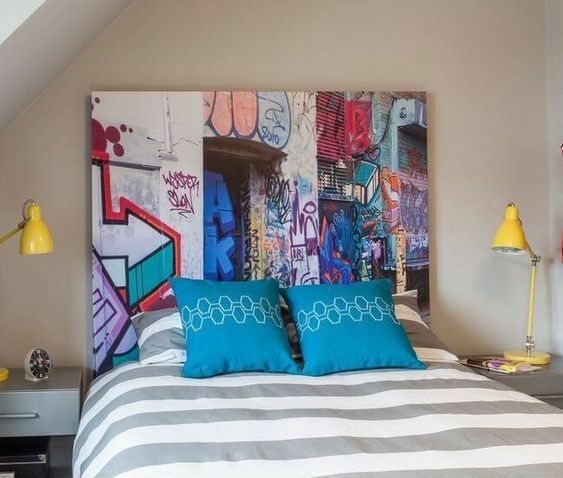 Not only that it makes the bed looks so much prettier, it adds artistic value to the room too. This one here is another headboard with some pride in its tufted surface. 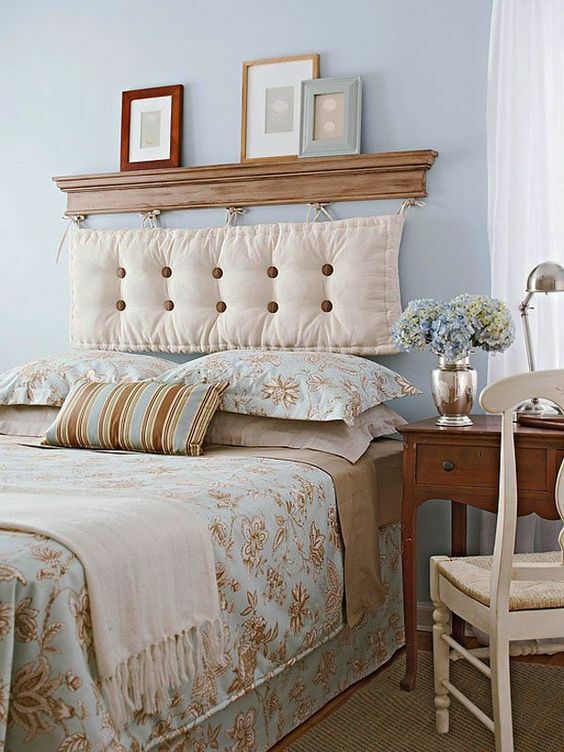 MAde prettily, a headboard with tufted button looks elegant, simple, and calm. IT is understandable that this one is completed with golden chandelier and white rug.